Genealogy isn't just about the past, but also the present and the future. Not only about those who came before us, but also about those who come after. This week is one of major milestones in our family. My last child is graduated from High School on June 14, 2014. 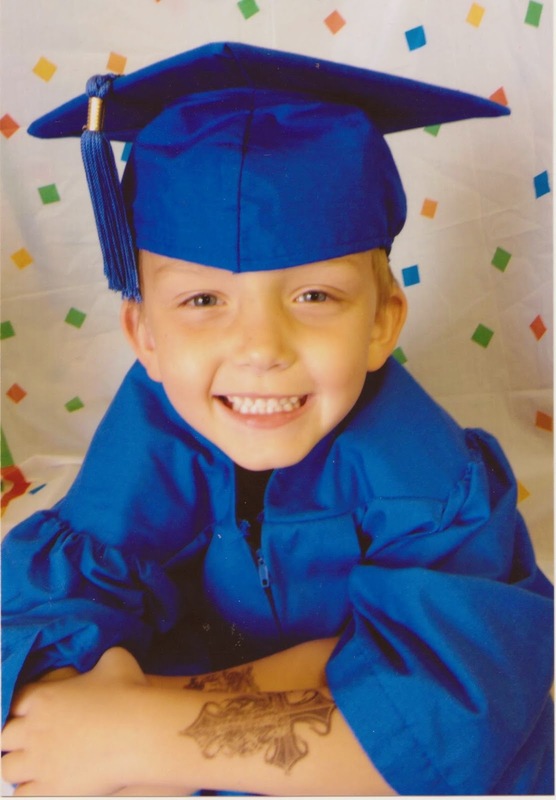 My first grandchild was graduated from Pre-K on June 10, 2014. As one leaves the public school system, another one enters. I was an emotional Nanny when my little 5 year old grandson stood with his class of little adorable munchkins and performed for the audience. They said their alphabet while displaying it along in sign language. They sang a song from the movie frozen. Pre-K graduations are a new phenomena. Back in my day, if you were in daycare, you were there with no ceremony or pomp until time to start Kindergarten, and at that time Kindergarten was a recent class. Most students went straight from home to First grade. None of my own children had a Pre-K graduation. They all attended Kindergarten, however. And I know that my youngests High School ceremony will be a particularly emotional one for me. The Last. I will have launched the last of the brood into adulthood. As I uncover the past, the future unfolds.